Thank you Duracell and SheSpeaks for sponsoring this conversation. All opinions are 100% my own and may differ from yours. I will only endorse companies, products and services that I believe, based on my own experiences, are worthy of endorsement. I was thinking about all the things we use batteries for, especially around the holidays. And it’s a lot. 1). 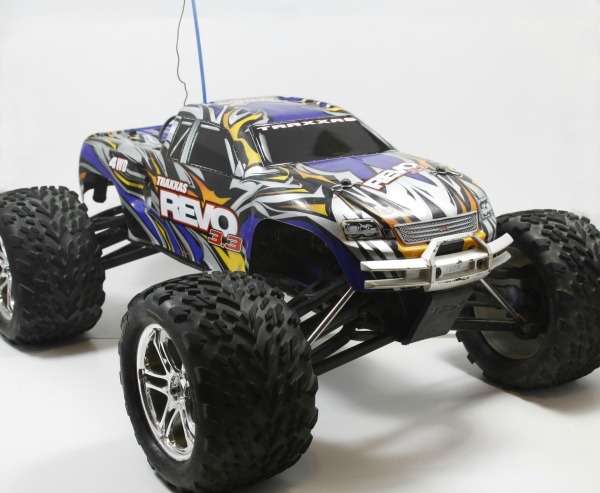 Remote Control cars, trucks, helicopters, etc. – My son usually gets (and gives as gifts) some kind of remote control vehicle for Christmas. Boys love remote control vehicles! And remote control vehicles need batteries, as well as the controllers themselves… so you need to get lots of batteries. 2). 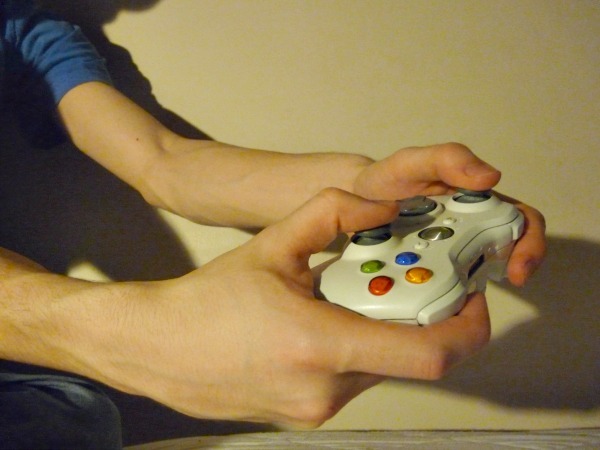 Game controllers – my son needs batteries for his Wii and Xbox controllers. Since he usually gets a game or two for Christmas, it wouldn’t be any fun for him to go to play his new games only to find his controllers are dead. 3). 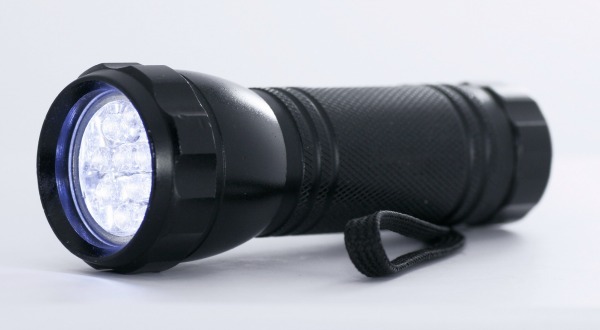 Flashlights – We have several flashlights. When the power goes out, trust me, you’ll be thankful you have batteries handy. 4). 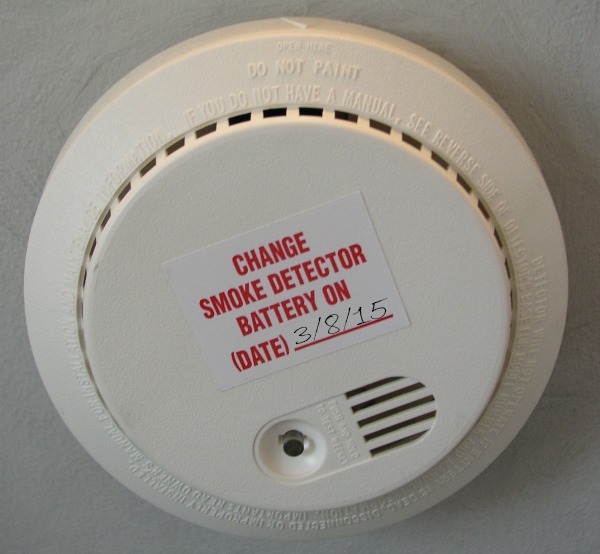 Smoke Detectors – We change our smoke detector batteries twice a year when the time changes in the Fall and Spring. 5). 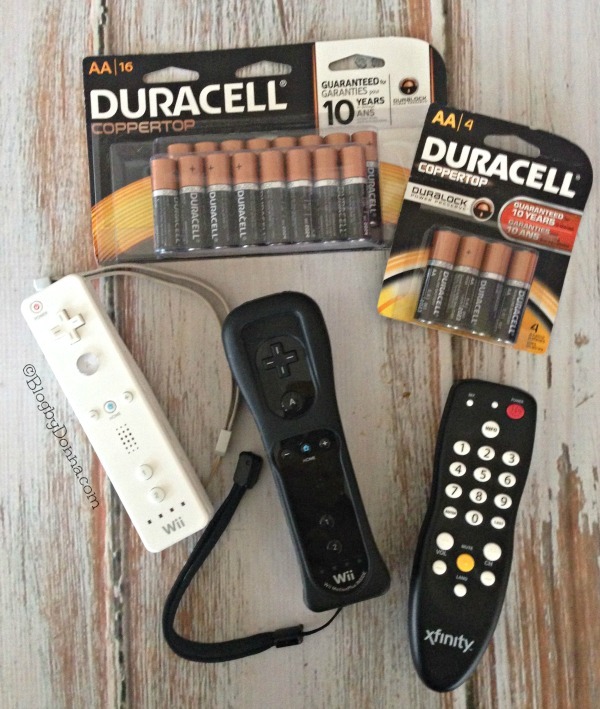 Remote Controls – We have three TVs and Duracell batteries last a long time in our TV remotes, but inevitably if we don’t have batteries, one of them would be dead for sure. I used to be notorious for not remembering to get batteries. Let me tell you… it’s sad. Sad I tell you, to get a child a gift that takes batteries and then forget to get batteries. I am much better about it now. In fact, I usually just stock up on batteries several times a year. That way I always have them handy. I’m picky about batteries. I’ve tried different brands and time and time again Duracell CopperTop All-Purpose alkaline batteries always outlast any other batteries I’ve tried. You can take comfort in a 10-year guarantee in storage with Duralock Power Preserve Technology. They’re great for many of the devices you use on a daily basis in your home. And from storm season to medical needs to the holidays, Duracell is the #1 trusted battery brand of first responders, pharmacists and parents, so you know it’s a battery you can trust. CopperTop batteries are available in AA, AAA, C, D and 9V. I want to know that in case of an emergency I can grab batteries out of my battery drawer (yes I have one) and know they will get my smoke detector and/or flashlight working. And especially Christmas morning when my son opens his gift that needs batteries or the new Wii game… his Wii controller will be ready for a marathon day of playing games. I put a 4 pack of Duracell Coppertop AA Alkaline Batteries into stockings for my son and niece and nephews for Christmas. Trust me, you can not go wrong making batteries a stocking stuffer. Everyone needs them at one time or another. You can pick up all your Duracell Battery needs at Walmart. 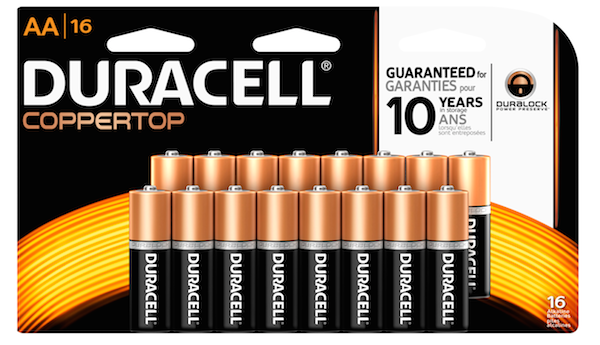 Be sure to Like Duracell on Facebook and Follow on Duracell on Twitter. What do you find you need batteries for the most during the holidays? Don't Miss Out on Kellogg Coupons!!! i always, always forget about the remotes and my wii remote!!! i always say i’m going to buy a charger for the wii remote, but never do HAHAH..but those tv remotes always catch me off guard. Great reminder to add these to our list! I know that’s right. this is the one thing that I always forget to buy. We go through so many batteries with our mouse, keyboard, garbage can. We always have some on hand and definitely during the holidays. I always try to remember to have plenty of extra batteries. Duracell is a great brand. Thank you for sharing. I absolutely love Duracell batteries! Which remind me, I seriously need to go purchase some as my remote control batteries are a little low. Fabulous idea to change the smoke alarm batteries when the times changes so you don’t ever forget! We always have batteries on hand for many of the reasons you pointed out. We certainly need lots of batteries for this holiday with all the devices we got at home. This is a great reminder. Duracell has always been my fave brand for batteries. Thanks for the reminder. It seems like we are always running low on batteries around our house. Between remote controls, gaming controllers and toys we use a ton! We use a lot of battery operated light strings on garland and in the bathrooms for decorating. Seems we’re always running out of batteries for those and they take “C” ones which we don’t use for anything else!